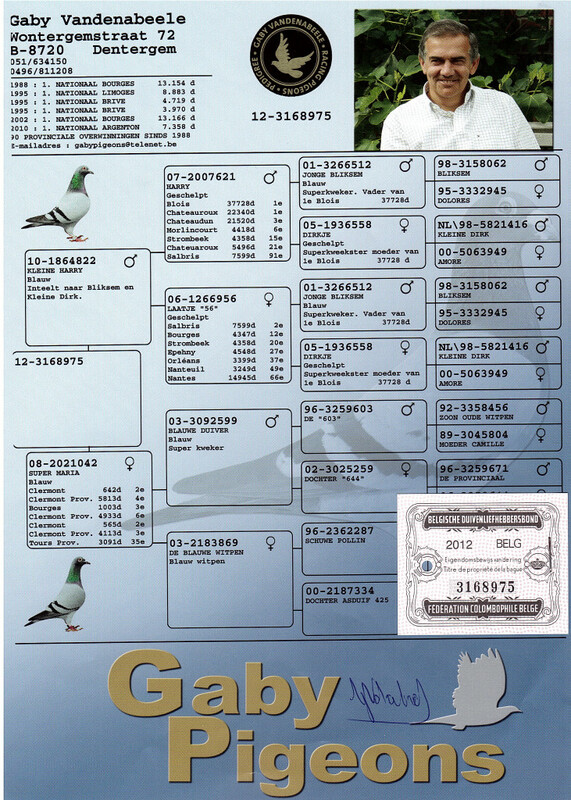 B12-3168975, SUPER HARRY, bred by Gaby Vandenabeele from B10-1864822, KLEINE HARRY, super inbred producer from the one and only NL07-2007621, HARRY, 1st Blois 37.728 BIRDS, 1st Chateauroux 24.340 birds, 3rd Chateauroux 21.520 birds of Jan Hooymans, when paired to his best sister, NL06-1266956, LAATJE “56”, 2nd Salbris 7.599 birds, 12th Bourges 4.347 birds, both bred from the SUPERPAIR, B01-3266512, JONGE BLIKSEM and NL05-1936558, DIRKJE…….Gaby did get the very best from his friend Jan Hooymans, direct from famous HARRY and his best sister ! Dam of SUPER HARRY is B08-2021042, SUPER MARIA, 4th Prov. Clermont 5.813 birds, 6th Prov. Clermont 4.933 birds, 3rd Prov. 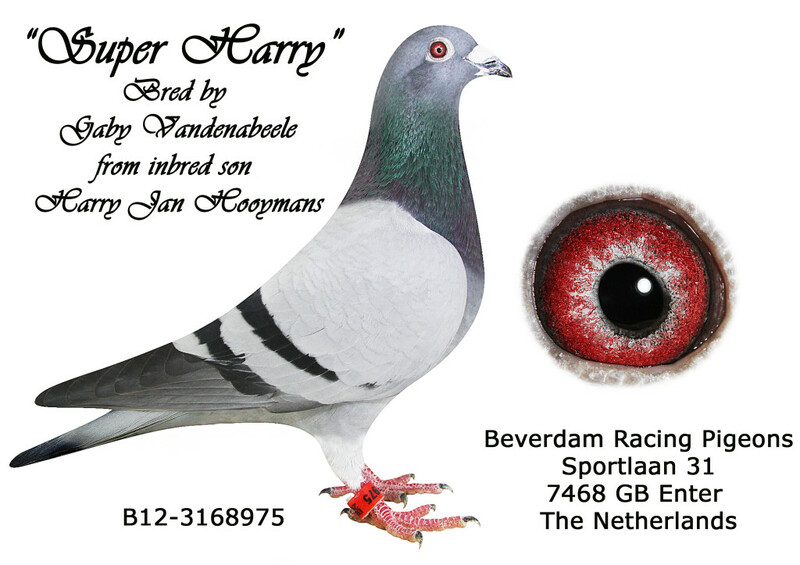 Clermont 4.113 birds…….daughter SUPERKWEKER B03-3092599 and B03-2183869, WITPENNEKE van SCHUWE Pollin.